Women’s Aid groups have carried out ground-breaking work and contributed much to Scotland’s landscape over the last forty plus years. While the network continues to support women, children and young people, contribute to legislation and policy change, and transform attitudes around domestic abuse, the Speaking Out: Recalling Women’s Aid in Scotland project has allowed us to take essential time to pause and reflect on the history of the movement. The project, running from January 2016 to December 2017, has sought to uncover, celebrate, and preserve the history of Women’s Aid in Scotland through collecting oral history interviews, creating a travelling exhibit, cataloguing the Scottish Women’s Aid archive collection, writing a publication, and producing a learning resource for young people. 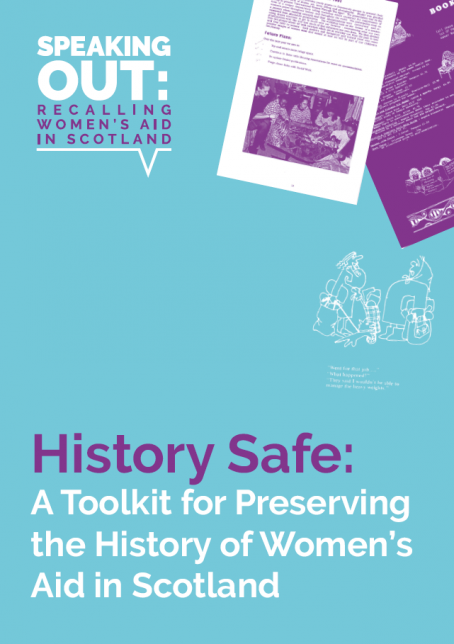 This toolkit has been designed to help local Women’s Aid groups identify material to be kept and added into the Women’s Aid Collection in the Archive at Glasgow Women’s Library. By bringing together material from all local groups, it creates a more complete and cohesive look at the movement and ensures that all perspectives are represented. How do you make a deposit to the Archive? Depositing material into the Archive at Glasgow Women’s Library is simple. There is a section on the website with information on how to donate including a link to the donation paperwork (or download here: Archive Deposit Agreement). Print it out, fill it in, and mail with the documents you are sending. If you have a lot of material, or you have oversized items, please get in contact with us to discuss how to send it. 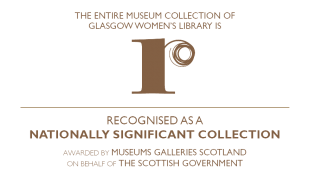 If you have any questions about the donation or are unsure in any way about anything discussed in this toolkit, please email the GWL archivist Nicola Maksymuik at nicola.maksymuik@womenslibrary.org.uk, or you can email the general email address info@womenslibrary.org.uk.